On November 30, 2012, the first Workshop of S.M.ART. BUIL.T. 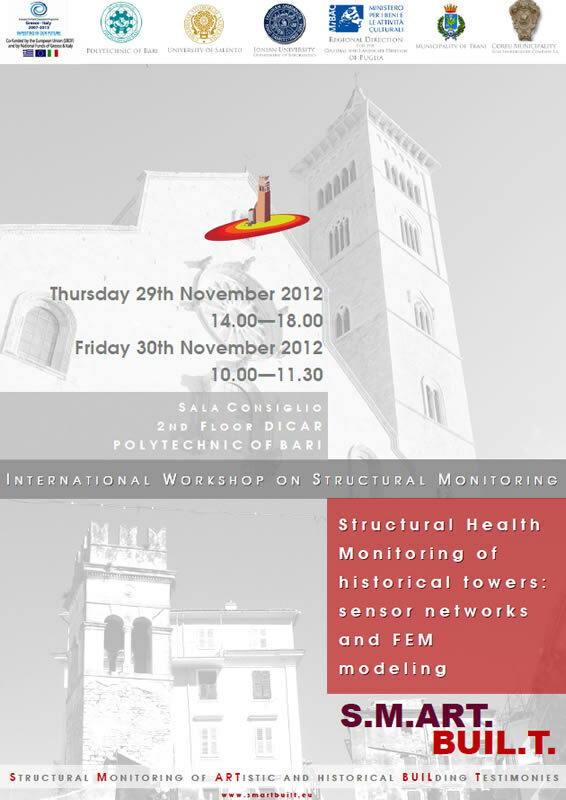 Project entitled “Structural Health Monitoring of Historical Towers: Sensor Network and FEM Modeling”, was held in Bari. 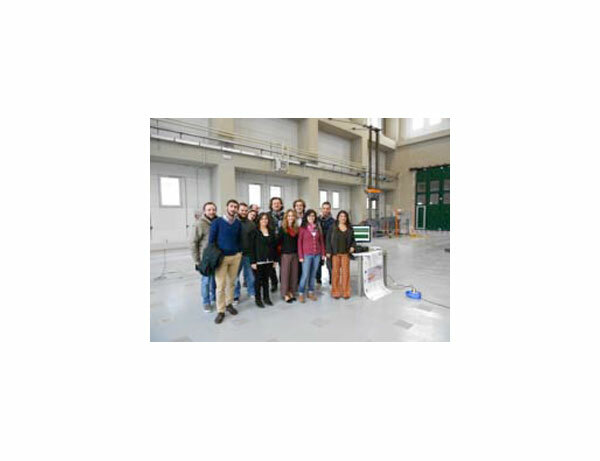 Its main aim was to present the initial project results to a technical audience like engineers and architects interested in structural monitoring and historical buildings restoration. Project Partners presented some important outcomes of the work carried out from the beginning of the project. In particular: Dr. Spiros Vasiliadis, General Director of Corfu Municipality Sole Shareholder Company SA, made an intervention titled “Historical Public Buildings of Corfu”, to show five Public buildings of the historical Center of Corfù, with important historical, cultural and architectural values, and to highlight the importance of the SMART BUILT implementation for the preservation and the restoration of these kinds of buildings. rebuilt with the use of its same blocks - anastylosis) were analyzed. 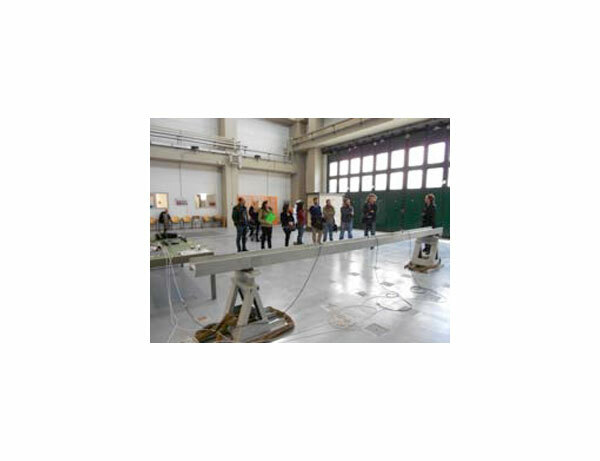 Prof. Konstantinos Oikonomou from Ionian University, presented a speech titled "Advanced structural monitoring through wireless sensor technologies" to make audience aware about the opportunities offered by wireless technologies in order to realize a non-destructive structural monitoring. Prof. Andreas Floros, Ionian University, presented the “Deployment and assessment of the sensor-based monitoring infrastructure on historical buildings: the design process" which described in detail the design process to be followed for deploying the sensors’ equipment on the historical buildings selected in the two historical centers of Corfu and Trani. 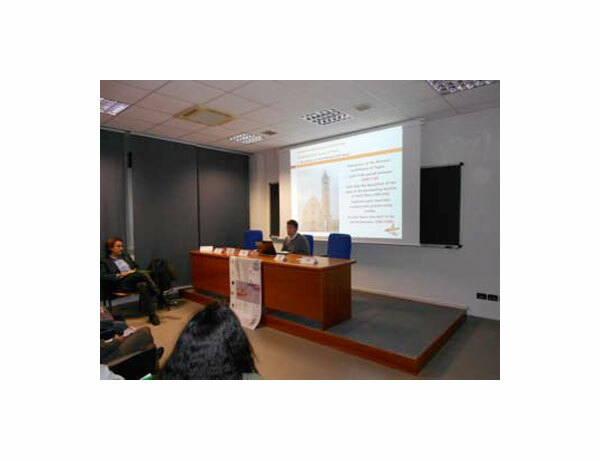 Dr. Maria Francesca Sabbà and Dr. Francesco Tucci, for the Technical University of Bari, presented, respectively, some preliminary results about the ambient vibrational monitoring of Annunziata tower in Corfu and the Cathedral bell tower in Trani”.